CrashedToys is a Powersports auction house by day and one of the Dallas-Fort Worth area’s most unique event venues by night. If an innovative, chic and unique event venue is what you are looking for, then CrashedToys is the perfect place for your special occasion. 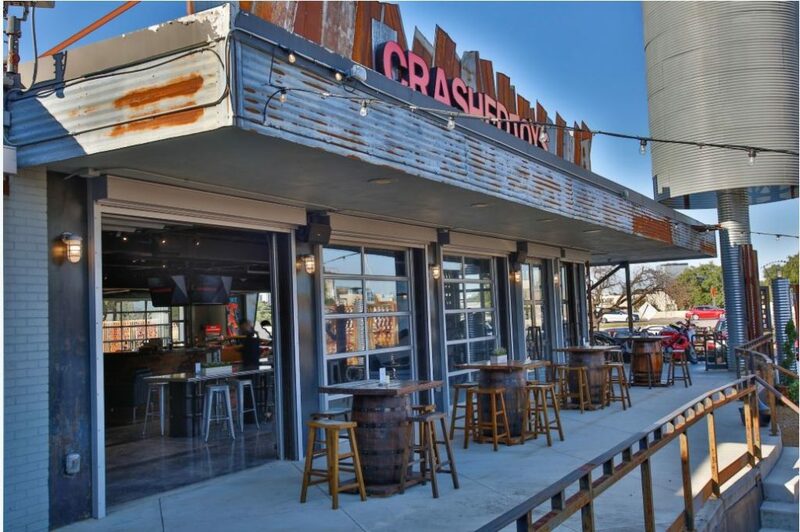 CrashedToys offers three unique spaces to host your special event in Dallas: The Cage, The ClubHouse and The Boneyard. Event planners have the ability to rent out one space, a combination of spaces or all of three to customize their event to fit their needs! 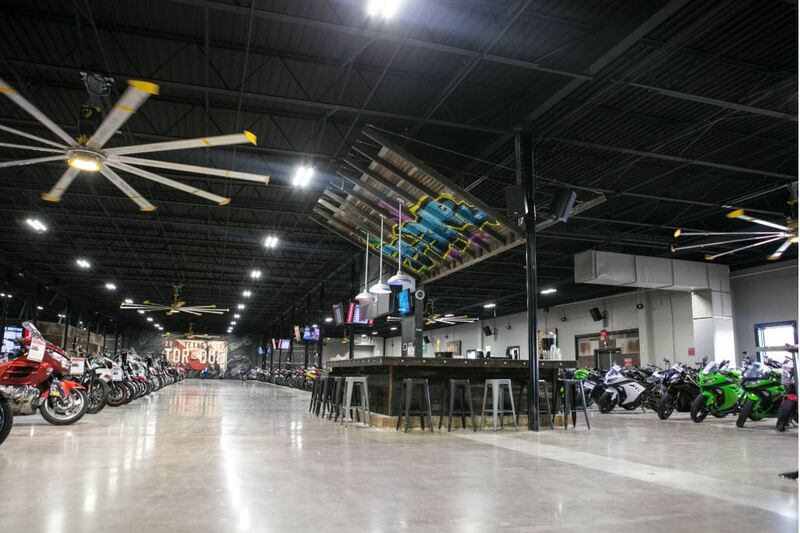 The 7,500 square foot ClubHouse is the main showroom at CrashedToys and provides a unique setting with its large inventory of crashed or damaged motorcycles, cars, ATV’s and more waiting to be auctioned online. 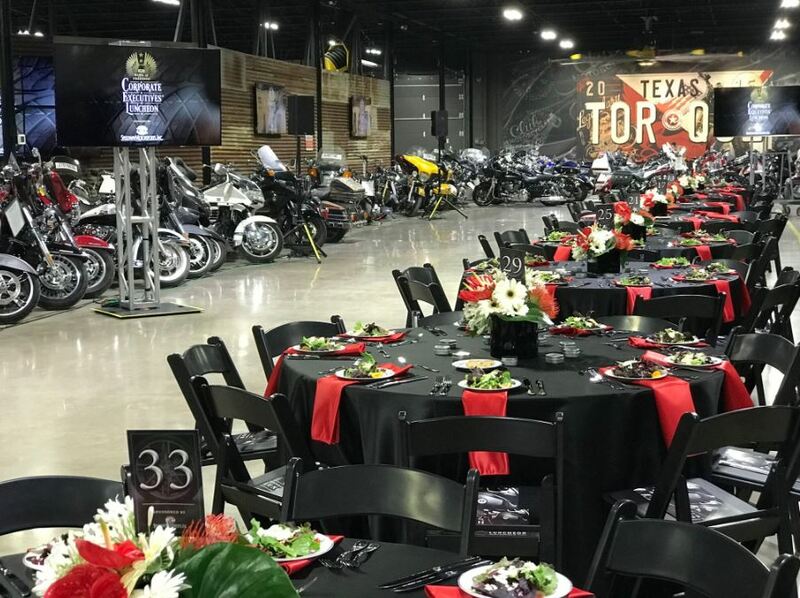 The motorcycles can be moved for an event but, most event planners prefer to utilize the inventory in the ClubHouse to create a one-of-a-kind atmosphere! On its own, the ClubHouse can host approximately 500 guests for a reception-style event and 320 seated. Whether your event is a formal dinner or a casual corporate mixer, the ClubHouse can adapt to fit your vision and style. Our seasoned event professionals at The Party Resource will assist you with any other rentals such as games, decorations, tables, linens, china, booking entertainment and more. Let your imagination rev up and run wild while you plan your next event in the ClubHouse at CrashedToys and keep your eyes peeled for features on The Cage and The BoneYard. CrashedToys is Dallas’ hottest one-of-a-kind new event venue! The 30,000 square foot indoor space and 6,500 square foot beer garden feature large built-in bars, hand-painted murals, a state-of-the-art audio/video system and incredible industrial fixtures and furnishings. An online powersports auction house during the day and unique and edgy special event space in the evening, CrashedToys will provide you with the perfect opportunity to experience Dallas’s local nightlife and celebrate with your peers! CrashedToys provides a one-of-a-kind setting with endless possibilities for group events of all sizes, including corporate groups, meetings, charity galas, celebrations and social events.